Posted byDr Helene Lavoix (MSc PhD Lond) December 22, 2017 October 16, 2018 Leave a comment on Signals: Jerusalem – The U.S. Defeated at the U.N., China Seeks Advantage? Increased likelihood to see a global perception of the regional (Middle East) U.S. influence and power lowered. As we expected previously, the U.S. decision regarding Jerusalem not only polarised the situation, but also ended up as a test for U.S. power and influence. The testing nature of the situation was reinforced by the Americans threatening to cut American aid to countries, should the latter not side with the U.S. during the U.N. General Assembly vote for a resolution that “’demanded’ that all countries comply with Security Council resolutions regarding the status of Jerusalem, following an earlier decision by the United States to recognize the Holy City as the capital of Israel” (UN News) – a resolution that thus opposed the U.S. decision regarding Jerusalem. Despite the threat, the “resolution [was] adopted by a recorded vote of 128 in favour to nine against (Guatemala, Honduras, Israel, Marshall Islands, Federated States of Micronesia, Nauru, Palau, Togo, United States), with 35 abstentions” (UN News). The U.S. thus lost. As a result, the power and influence of the U.S. seems likely to have decreased. Meanwhile, the content of the articles on the matter in Global Times (the international edition for the very official People’s Daily), not only stressed the American loss of influence, but also underlined the ideal Chinese position to now step in as potential broker for future peace negotiations between Israelis and Palestinians. It thus appears likely that China could step in to try replacing the U.S. as peace broker. 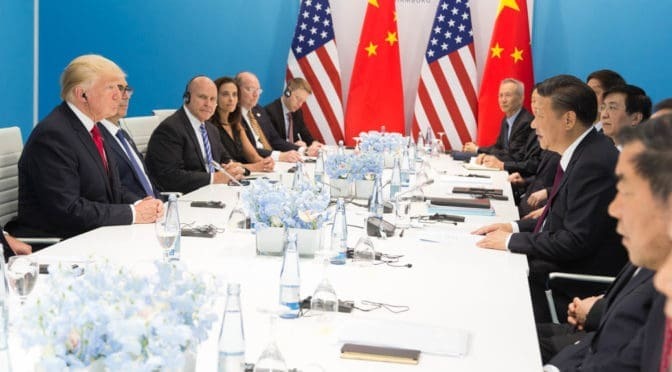 Should this happen, then China would have extended and asserted its influence, furthermore in a region where it had not been so far a major player – however being increasingly active there – while the U.S. would have, on the contrary, lost not only regional but also global influence. By an overwhelming majority, Member States in the United Nations General Assembly on Thursday “demanded” that all countries comply with Security Council resolutions regarding the status of Jerusalem. Diplomats brushed aside what appeared to be a hastily organized pressure campaign by the White House, including last-minute threats by President Trump to cut off aid to countries voting for the resolution. “We will not be threatened,” Mr. Malki, one of several diplomats who spoke before the vote, told the General Assembly at an emergency meeting. The symposium of Israeli and Palestinian peace advocates held in Beijing shows China’s will to promote peaceful solutions to Palestine-Israel issues, but experts say the complexity of Middle East politics leaves limited space for China. An emergency UN General Assembly meeting passed a resolution calling for the US to drop its recognition of Jerusalem as Israel’s capital as well as its decision to move the US embassy there. A total of 128 countries backed the resolution, nine voted against and 35 abstained.